Engen Maths and Science Schools (EMSS), the long-running supplementary tuition programme for matric learners, achieved a 95% national pass rate – beating the national average of 78% by a significant margin. The Class of 2013 also outdid the rest of the country’s matrics in the number of ‘bachelor passes’ attained (pass marks high enough to allow candidates to proceed with university studies) – 78% compared to the national average of 38%. Tasneem Sulaiman-Bray, Engen’s GM of Corporate Affairs, says the market-leading fuel company’s 27 year-old EMSS programme keeps going from strength to strength. Active in four provinces, EMSS has had great success equipping learners with the knowledge to pass maths and science or qualify for further education and training or skilled employment. “It addresses a key skills shortage in the engineering and technical fields in South Africa,” says Khanyisa Balfour, Engen Group Corporate Social Investment Manager. The programme facilitates access to highly skilled teachers, supplementary educational material and extra academic support for about 2 000 learners annually. A total of 642 EMSS learners wrote the Grade 12 National Senior Certificate in 2013. Engen opened its newest EMSS school in 2012, at Ganges Secondary School in Merebank, Durban. This brings to nine the total number of EMSS schools positioned strategically at higher institutions across the country. Balfour says the newcomer performed brilliantly, with a pass rate of 100% and a bachelor’s pass rate of 89%. Engen also has EMSS classrooms at Cape Peninsula University of Technology (CPUT), Fairvale Secondary School in KwaZulu-Natal, Zakariya Park Secondary in Gauteng; the Mangosuthu Institute of Technology (Mantech) in Umlazi, KwaZulu-Natal; the University of KwaZulu-Natal (Howard Campus); Nelson Mandela Metropolitan University in Port Elizabeth; University of Fort Hare in East London; and Cala High School in the Eastern Cape. 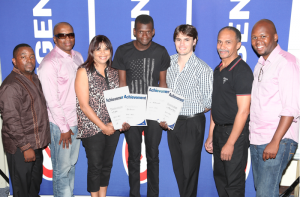 The top learner for 2013 was Charles Muteti of Thandokhulu Secondary School in Mowbray, Cape Town. “With a brilliant average of 90% for Science, Maths and English, Charles beat a very competitive field,” says Balfour. Muteti achieved six distinctions overall for an aggregate mark of 86%. He will be studying mechanical engineering at the University of Stellenbosch. 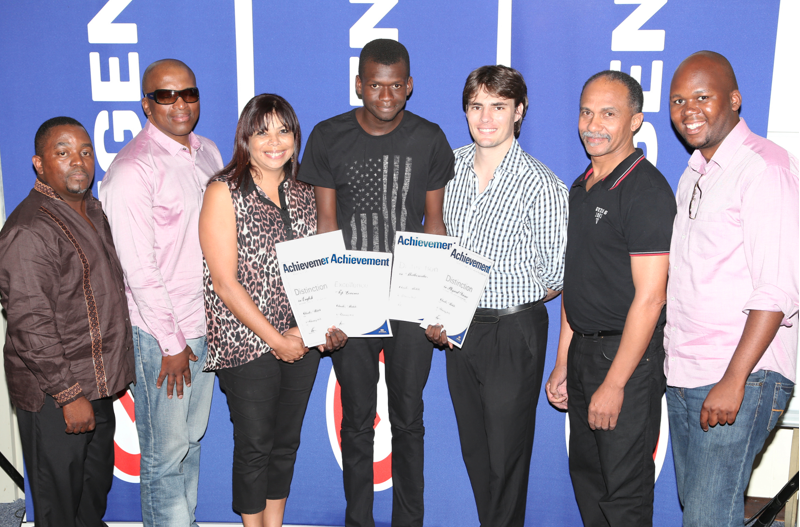 Other top EMSS performers were Madiha Aklehar and Mogamad Junaid Martin, both of Rylands High in the Cape. CPUT, the top three students’ EMSS base, was among the top-performing nodes with 100% pass rate (along with Gauteng, East London, Fairvale, Port Elizabeth and Ganges). But it was at Fairvale where the highest concentration of bachelor’s passes was achieved (90%), says Balfour. “Our efforts in addressing critical skills shortages and growing a pool of future industry leaders is bearing fruit,” says Sulaiman-Bray. “But the real winners are the many learners who get to pursue their dreams, as well as the science- and maths-related industries, and the country as a whole, which need their skills,” she adds.